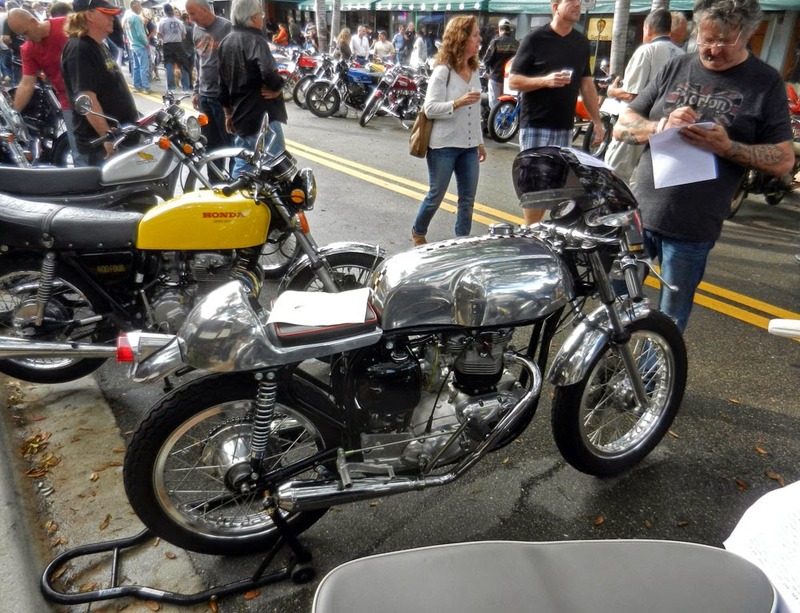 All metal and shiny everywhere, this Triumph Triton cafe racer was a highlight. 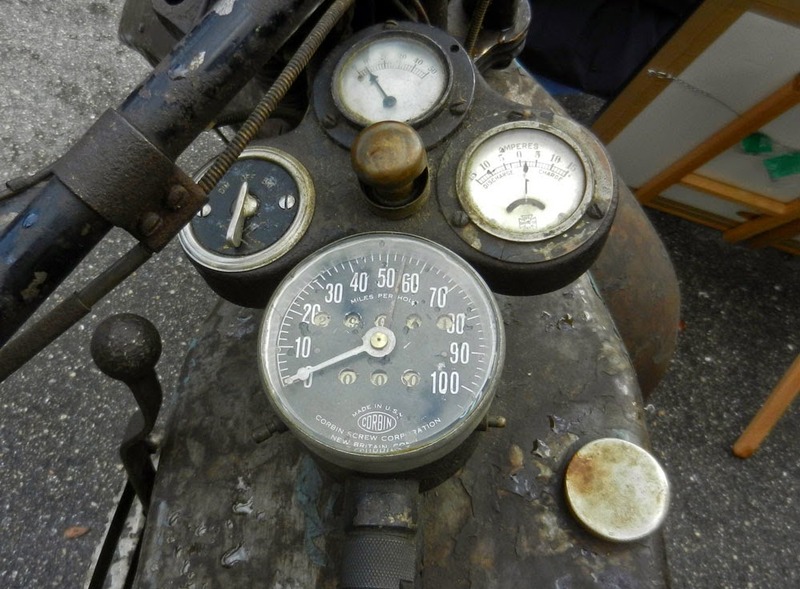 Funny how the things that attract the eye at a vintage motorcycle show are invariably either shiny or soiled. 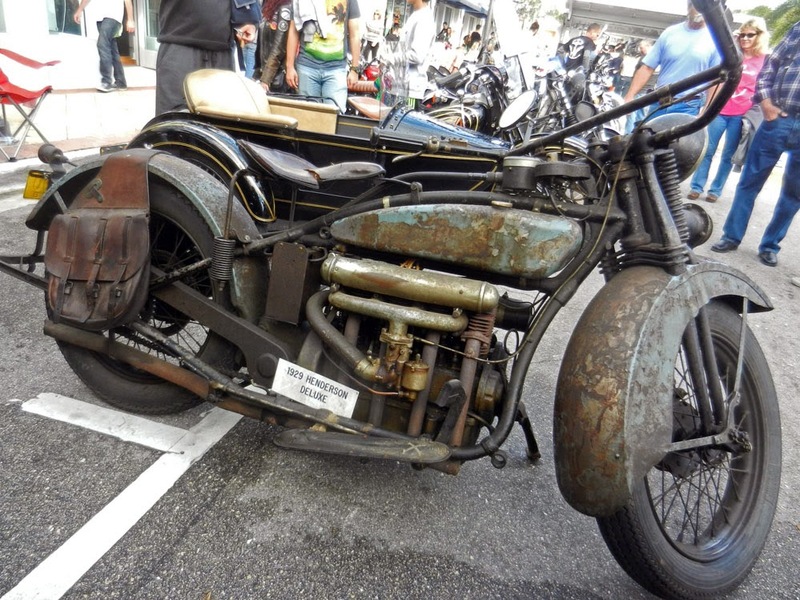 A rusty wreck looking like it was just pulled out of a barn can draw as much attention as a fully restored motorcycle. 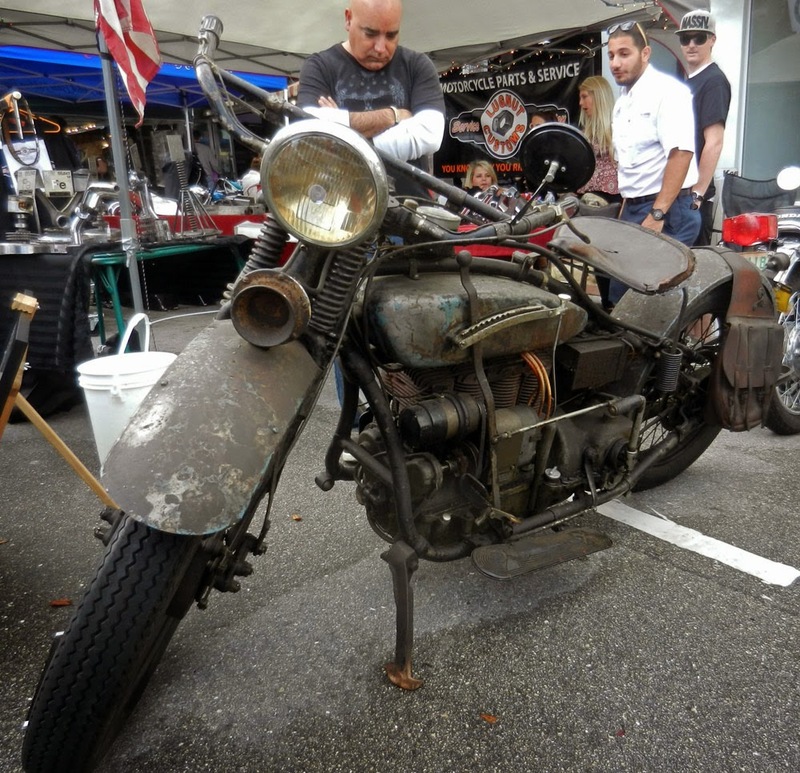 The Second Annual Iron & Clematis Vintage Motorcycle Festival in downtown West Palm Beach, Fla. Feb. 21 had plenty of both. Alloy fairing on Triumph Triton cafe racer. A shiny Triumph Triton cafe racer on show fulfilled anyone's dreams of seeming perfection. Imposing 1929 Henderson 4. Check the rustic yet rugged stand holding it up. Across the street, a time worn 1929 Henderson couldn't be overlooked. Displayed behind its magazine clippings, it is as-is after years of use (and modification). The clippings told the story of its life and preservaton by members of a single family. The 1929 Henderson had a full set of instruments. Clematis Street is the center of old West Palm Beach. 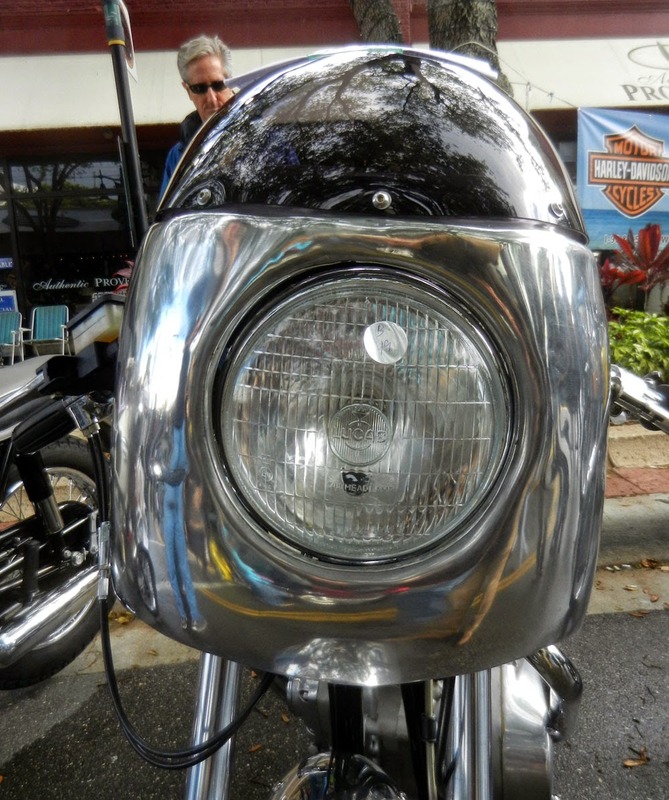 The vintage motorcycle show was concentrated in the 500 block of Clematis, which has the downtown's highest concentration of historic buildings. Henderson 4 is rough looking but ready to take you anywhere. Vintage yachts were on show in the marina at the bottom of Clematis. 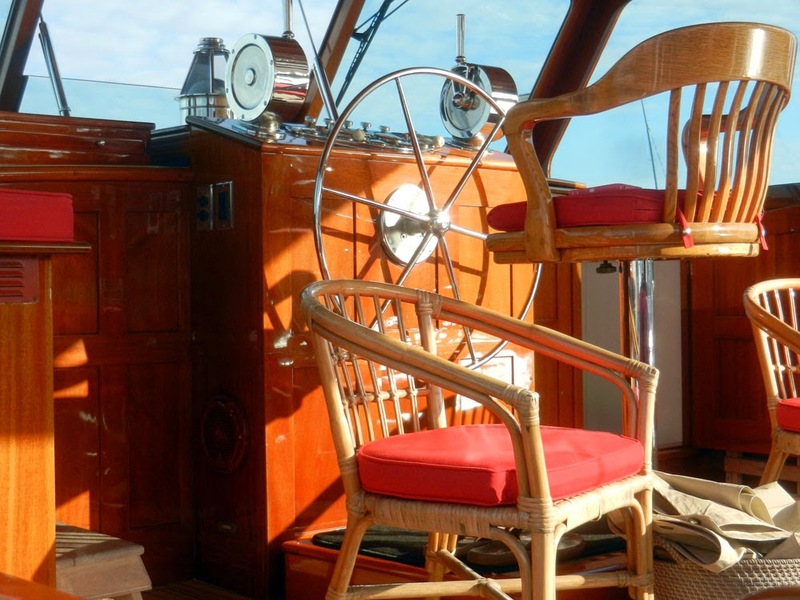 Their varnished wood seemed a complement to the shiny metal just up the street. Vintage motorcycles and vintage yachts were on show the same day.